I will be more than happy to arrange formal tastings for individuals or groups, whether for everyday drinking wines or fine vintages from the great estates. These may be hosted at a wide range of venues, from your own home through to a City Livery Company or a private suite at the Savoy. Every tasting is arranged to meet your exact requirements regarding budget and choice of wines and food. Corporate clients represent a large part of my work. 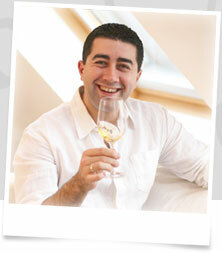 You may feel confident in approaching me to discuss any kind of corporate tasting, in any part of the UK or overseas. You may prefer a private or VIP wine tasting. This is an excellent way for businesses to entertain their friends or clients in a supportive and relaxed atmosphere. These events work really well as a "thank you" to existing clients and/or a friendly and relaxed way to make new contacts.